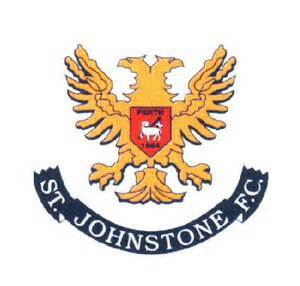 St. Johnstone were officially formed in 1884 although their first recorded match was not until February 1885. A Perth cricketer called John Colborn decided to form a new football club after some fellow cricketers kicked a ball around South Inch, the large public park situated on the banks of the River Tay. Although Perth already had its own football teams including Erin Rovers, Fair City Athletic and the Perth Railway team called Caledonian. However it was Colborn’s new team that gained popularity ostensibly a by clever choice of name. Perth was known as “St. John’s Toun” as the biggest church in the area was dedicated to John the Baptist. 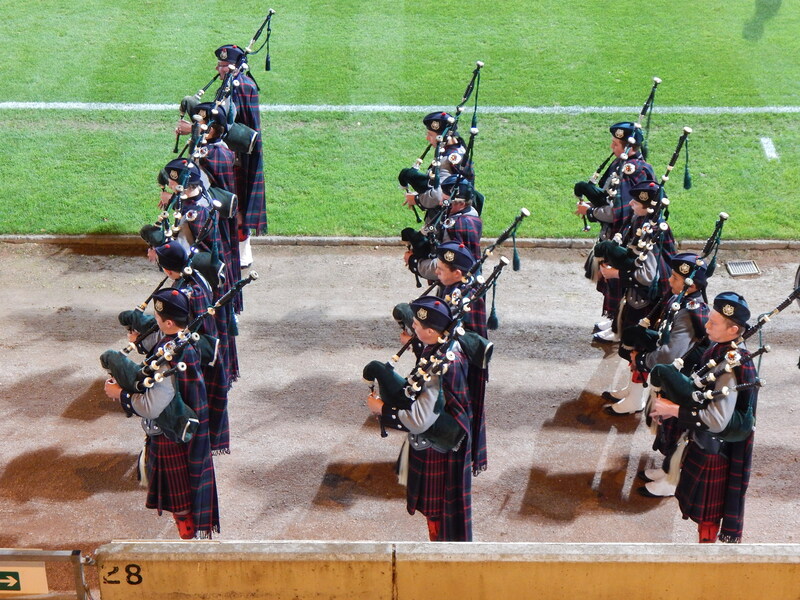 The club initially played at the Recreation Ground adjacent to South Inch and opposite the town’s prison . The site suffered greatly from periodic flooding when the swell of the Tay in flood would prove ruinous. So in 1924 the club upped sticks and moved across town to a new ground called Muirton Park on the northern outskirts of Perth. Judicious selection had tram links already in place and the field’s location in Dunkeld Road meant getting to the new ground would be easy. 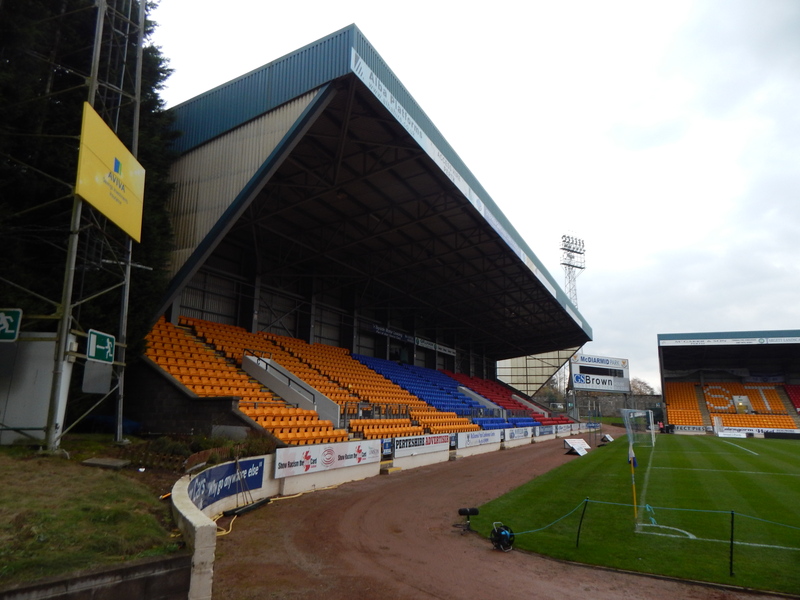 The ground was set out with one big main stand and three sides of uncovered terracing. The entire project cost £13,194 with nearly £10,000 of the expenditure being spent on the construction of the grandstand. Although the board were confident the public would support the move to better facilities they could scarcely have anticipated the 11,000 crowd that assembled for the first game against Queen’s Park on Christmas Day 1924. The ground must have been bursting at the seams when in February 1951 a colossal gate of 29,972 gathered for a Scottish Cup tie against near neighbours Dundee. 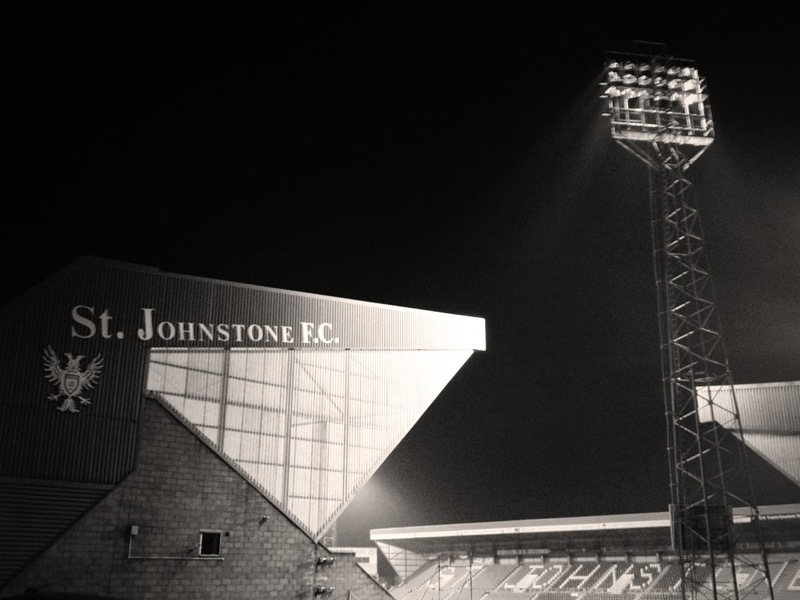 It was to be the all time record crowd for Muirton Park. Apart from the addition of floodlights in 1964, the ground had scarcely changed when the Bradford fire disaster in 1985 bought about the publication of the Safety of Sports Ground Act. Lack of investment at the ground saw the North Stand and part of the Centre Stand immediately closed and a seated capacity restriction of 500 imposed. The club found themselves forcibly relegated due to the state of the ground. The future of the Saints looked bleak indeed when out of the blue the Asda supermarket chain offered to buy the site and the adjacent ice rink for a new supermarket, funding a replacement stadium as part of the deal. The club played its last game at Muirton Park against Ayr United in April 1989 before moving to the brand new McDairmid Park. At a modest budget of £4.9 million architect Percy Johnson-Marshall provided the club with everything they needed in a new ground. A capacity of 10,600 and ultra modern facilities saw the club in prime condition to climb back up the divisions. 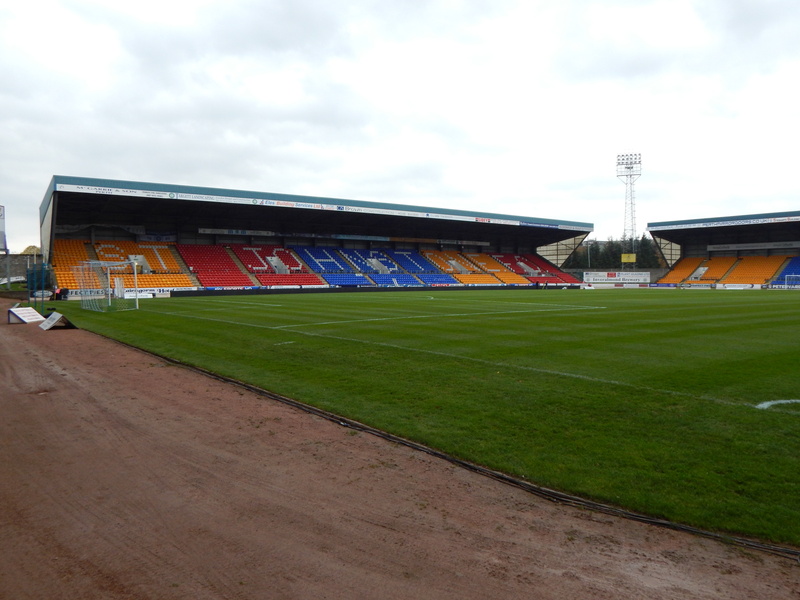 The site of the new stadium was on a field used for growing barley and was owned by Bruce McDairmid. The kindly landowner donated the land free of charge to “the people of Perth”. The club insisted on giving him a 20% stake-holding and naming the new stadium after him in acknowledgement of his generous act of philanthropy. Sadly today there is no vestige of Muirton Park left, though interestingly as part of the planning agreement Asda originally had to agree to paint the store royal blue as a nod to its historic past. Disappointingly the store nowadays sports the standard green livery. Tonight’s game sees a charge of £23 to get in which doubtless contributed, along with live television coverage, to a modest turned out on Halloween night. Rain arrived just before kick off and poured down unrelentingly for the duration of the match. 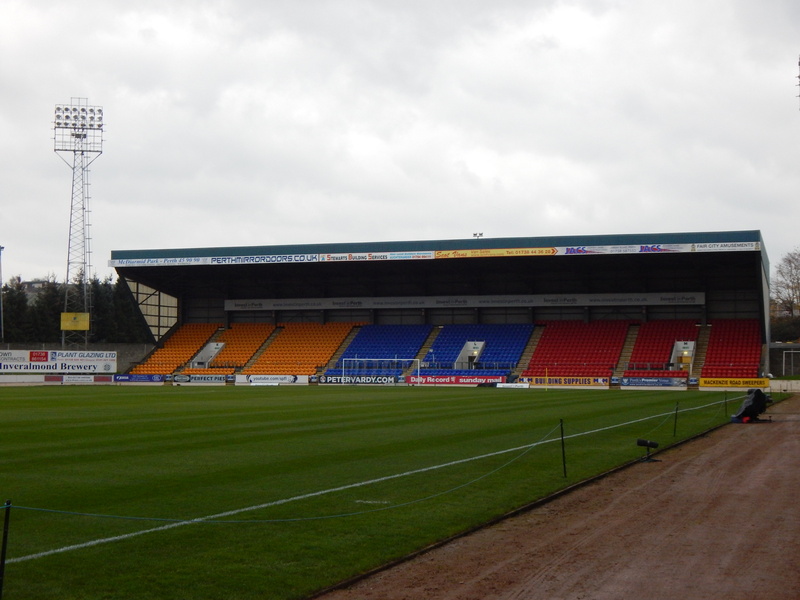 The visitors from Motherwell began in the ascendancy and when Michael O’Halloran casually lost possession in his own half, within seconds Lionel Ainsworth was dispatching the ball past Alan Mannus in the home goal. The errant striker would make amends however with two classy goals, the second nine minutes from time sealing a welcome victory for the Perthshire men. 1. Alan Mannus, 2. David Mackay (c), 5. Frazer Wright, 6. Steven Anderson, 7. Chris Millar, 8. Gary McDonald, 14. Brian Graham, 17. James McFadden, 22. Lee Croft, 24. Brian Easton, 29. Michael O’Halloran. Subs: 15. Steve Banks, 11. Adam Morgan, 16. Liam Caddis (for 17,85 mins), 19. Gary Miller (for 22,89 mins), 20. Scott Brown, 38. Ally Gilchrist, 31. Dylan Easton. 12. Dan Twardzik, 3. Steven Hammell, 5. Simon Ramsden, 6. Stephen McManus, 7. Lionel Ainsworth, 9. John Sutton, 11. Iain Vigurs, 14. 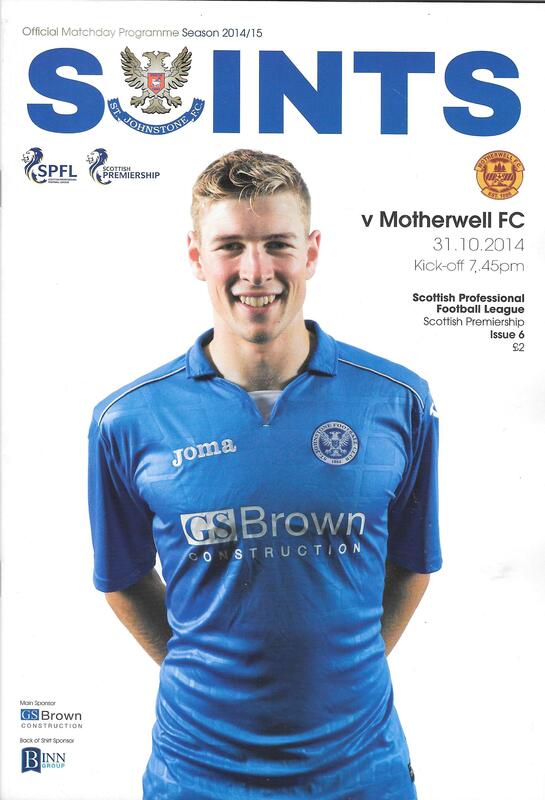 Keith Lasley (c), 17. Zaine Francis-Angol, 20. Fraser Kerr, 24. Henrik Ojamaa. Subs: 13. Gunnar Neilson, 2. Craig Reid, 4. Stuart Carswell, 15. Mark O’Brien (for 3,85 mins), 16. Robert McHugh, 18. Josh Law (for 11,88 mins), 19. Lee Erwin (for 17,82 mins). 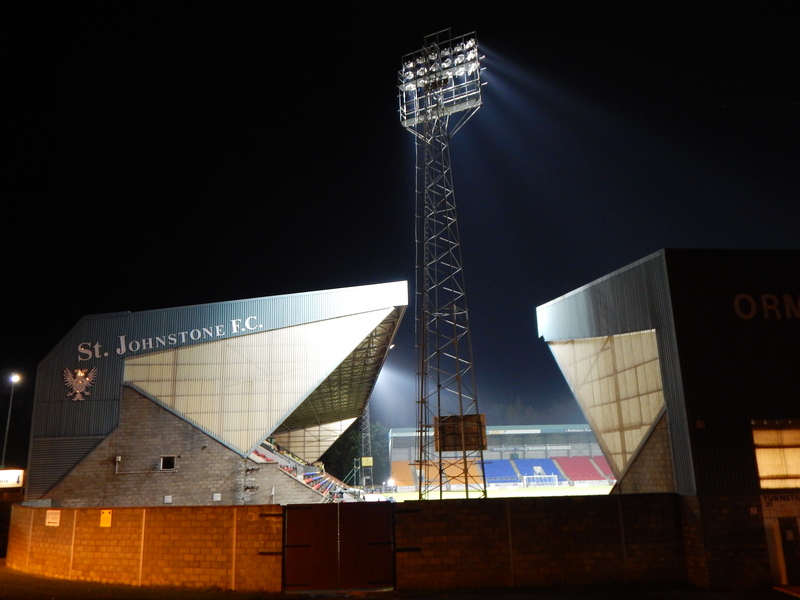 This entry was posted in Travel, Matches & Stadiums and tagged groundhopping, McDairmid Park, Muirton Park, Perth, Saints, Scottish League, St.Johnstone by peterrmiles. Bookmark the permalink.